Out of all the television shows we have reviewed during our existence here at When It Was Cool, I believe that MASH impacted me more than any so far. First of all, I was born in 1971 so I was only a year old when MASH began airing on television in the fall of 1972 and, while I was too young to remember most of the early original run episodes, the show lasted well into my childhood and replayed constantly and, as a kid, I hated it. When the drab and melancholy opening music came on I immediately turned off the television and found something else to do. But I was a kid. As an adult I had a completely different and more complex reaction. My parent’s generation was the generation of the Vietnam war. While MASH actually was set against the backdrop of the Korean war, make no mistake about it, it was a commentary on the Vietnam era. My father just missed being sent to Vietnam. While he was drafted and entered the Army the deescalation began before he was sent and he ended up only being stationed stateside. Still, everyone of the adults I knew in my life were impacted by Vietnam and my childhood was spent watching movies, television shows, and even our toys were colored by the Vietnam war. Flash forward over forty years later and I have spent the last twenty-five years as a first responder. I have worked mostly as a police officer but also as a fireman and in communications as well. I have also, unfortunately, seen a lot of tragedy and scenes or horror over those years. From wrecks to murders to things I can’t even begin to explain I’ve seen lots of graphic imagery over that quarter century. While what I have seen is nothing compared to war, I found that MASH hit me very hard. MASH perfectly captured those many hours of boredom, joking around, and decompression punctuated by the most intense and serious of circumstances. 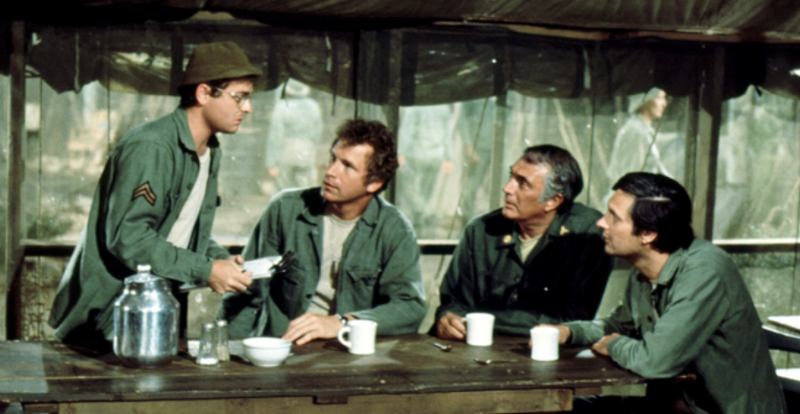 As the members of the 4077th Medical unit of MASH frittered away the day, laughing, goofing off, unit member Radar O’Reilly (Gary Burghoff) stoically turns and says, “I hear them…” To which Hawkeye (Alan Alda) and Trapper John (Wayne Rogers) respond, “I don’t hear anything.” Then, over the ridge, appear the medical helicopters bringing in the wounded and everything changes from fun and games to deadly serious and focused. I don’t think I’ve ever seen a television show capture it better and I get emotional remembering the many times I’ve waited on a roadside for the medical helicopter to show up. 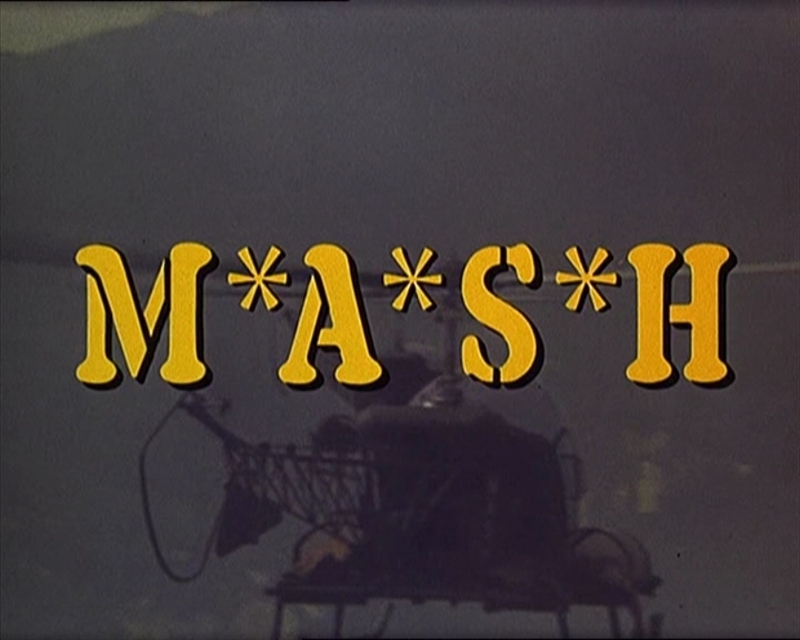 But MASH was also a comedy which focused on the personal relationships of the members of the 4077th unit. This comedy against a backdrop of such heaviness made MASH a vastly complex show. 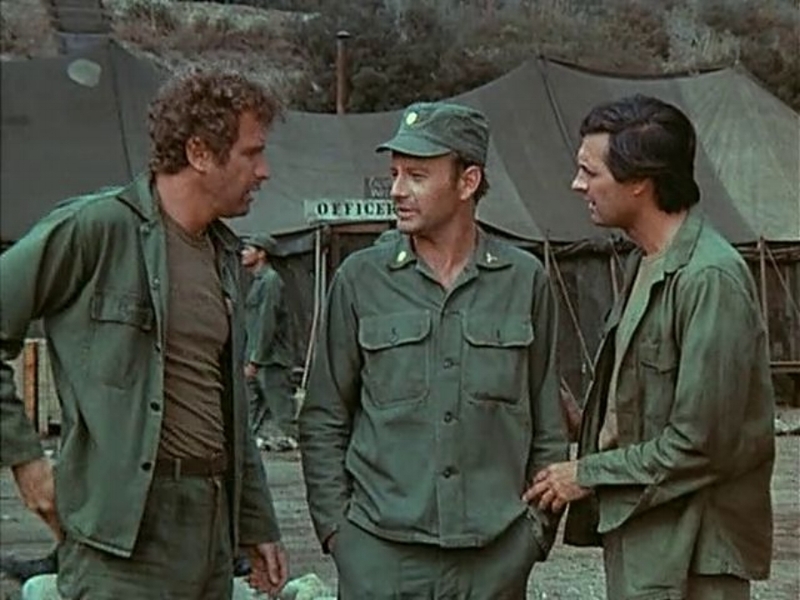 While I have seen many episodes of MASH over my lifetime I think this is the first time I have ever watched the first episode which sets the stage for everything. While the gist of the story was pretty uninteresting, the heaviness was very well played. The story basically sees Hawkeye somehow manage to get one of their Korean unit members into medical school in the United States but need to raise a couple of thousand dollars to pay his fees to get him there. That causes Hawkeye and his best friend Trapper John McIntyre to concoct an elaborate scheme to raise the money involving a raffle for a leave pass to Tokyo and a date with a nurse and a party. This is morally objected to by the shows antagonists and killjoys Margaret “Hot Lips” Houlihan (Loretta Swit) and her boyfriend-love interest Frank Burns (Larry Linville). The details of the story are unimportant, of course, the plan goes off but not without a hitch. The atmosphere and dramatic scenes are what left the most impact on me. It was an amazing experience watching MASH again after all these years. I had long been of the impression that MASH was a boring show that wasn’t for me but now I have really turned around on the show and it left a real impact on me. So strong was my emotional response to episode one that I haven’t been able to watch another one since as I’m still processing the first one several days later. It’s very clear why MASH is one of the most beloved and award-winning shows in television history. Do you want to hear a more detailed review of MASH (1972)? Then click here and become a Patreon supporter and get instant access to hundreds of downloadable reviews and documentaries like our review of MASH.